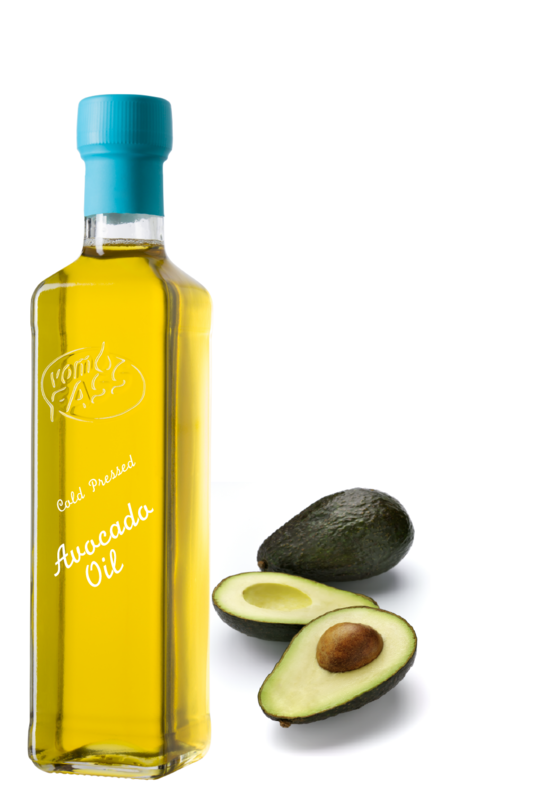 The dark green oil has a soft, slightly fruity and nutty taste with hints of fresh avocados and floral notes. Avocado oil has a similar fatty acid composition as extra virgin olive oil. You can use it for example for fresh salads or marinades, but also for high heat cooking. This rich oil is a delightful treasure containing high amounts of Vitamin A, B1, B2, D, and E. Also contains amino acids, sterols, pantothenic acid, lecithin, and other essential fatty acids. Highly prized to those with skin problems such as eczema, psoriasis, and other skin ailments Highly recommended to those with sensitive skin, problem skin, and other irritations that require vitamin rich oil.